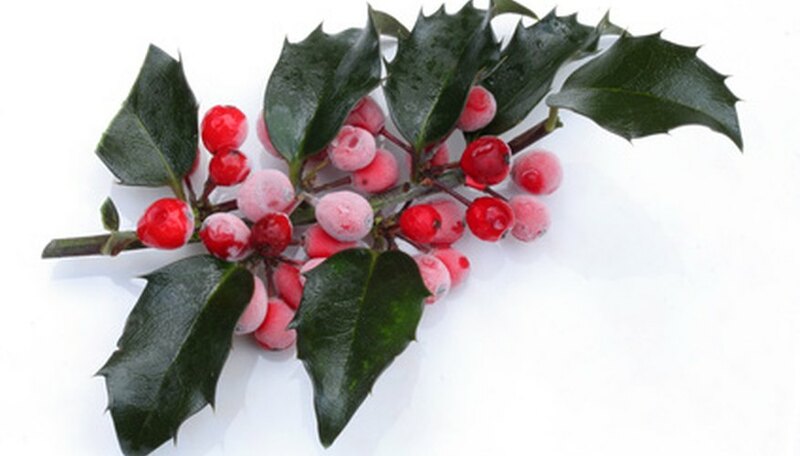 The Burford holly shrub, easily recognized as a favorite holiday decoration, can grow to heights of 15 feet, according to the U.S. Department of Forestry. Pruning keeps the attractive, deep-green foliage to a reasonable size for easier maintenance. According to North Carolina State University, the three main reasons to prune a shrub is because of disease, dying limbs or foliage, or damage to the shrub. The Burford holly shrub is not prone to disease, so pruning this self-pollinating shrub is mainly for appearance. Prune Burford holly shrubs along the outer branches to keep them growing tall, or maintain a compact shrub by topping the holly bush. Either pruning method is acceptable at any time of the year. For healthy growth after pruning, provide fertilizer to the shrub in the spring or fall. Determine the desired size of the Burford holly shrub. The shrub grows 15 feet wide if left unpruned. Inspect the shrub to locate any dead or diseased areas, which must be removed. Cut the top of the Burford shrub down to the desired height using the hand saw, if necessary. Burford holly is resilient and does well with heavy pruning. Remove any dead or diseased parts of the shrub with the pruning shears or hand saw. Keep these clippings separate for disposal. Do not put them in the compost bin to keep from spreading any disease. Use the pruning shears to clip away unwanted branches or segments from the sides of the Burford holly shrub. For uniform appearance, remove the same amount of foliage from all sides of the shrub. Continue pruning to the desired size and shape. Rake up the healthy clippings and put them in a trash bag or on the compost bin. Inspect the foliage of the Burford holly shrub for uniformity and shape, and make any small clips as desired.